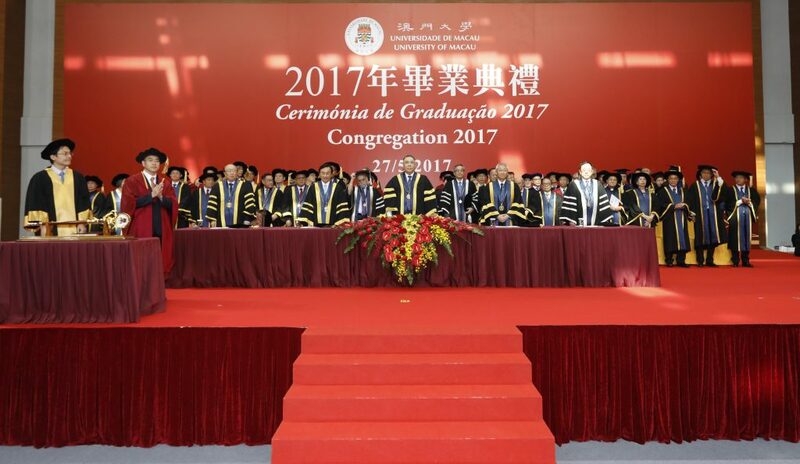 The University of Macau held the Congregation 2017 on 27 May. UM this year graduated 1,400 students. 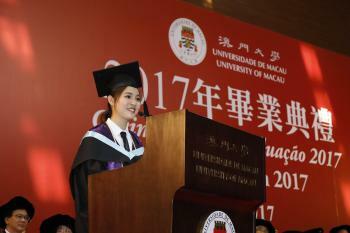 Chui Sai On, chief executive of Macao SAR and chancellor of UM, attended the ceremony. Chui said at the ceremony that today’s UM attaches importance to introducing high-calibre talent and actively joins the international higher education trend, adding that the university vigorously develops disciplines with potential and spares no effort in curriculum development in order to improve the quality of its education. Chui officiated at the ceremony in the company of Secretary for Social Affairs and Culture Tam Chon Weng, UM University Council Chair Lam Kam Seng, UM Rector Wei Zhao, and Vice Rectors Lionel Ni, Rui Martins, and Haydn Chen. Nearly 4,000 people attended the ceremony, including members of the University Assembly, University Council, and Senate; government officials; prominent community members; parents of the graduates; and UM faculty and staff. 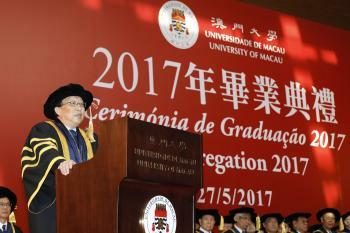 In his speech, Chui said that the rapid development of UM serves as an important example of how higher education development in Macao thrives under the ‘One Country, Two Systems’ policy. He added that today’s UM not only attaches importance to introducing high-calibre talent, but also actively joins the international higher education trend. The university vigorously develops disciplines with potential and spares no effort in curriculum development in order to improve the quality of its education. 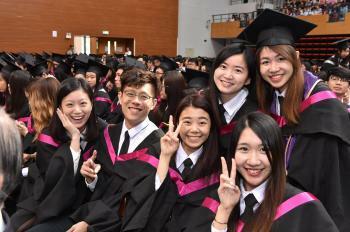 Chui hopes that UM will make a greater contribution to higher education development in Macao by exploring a reliable way of training higher-level talent based on its successful experience. 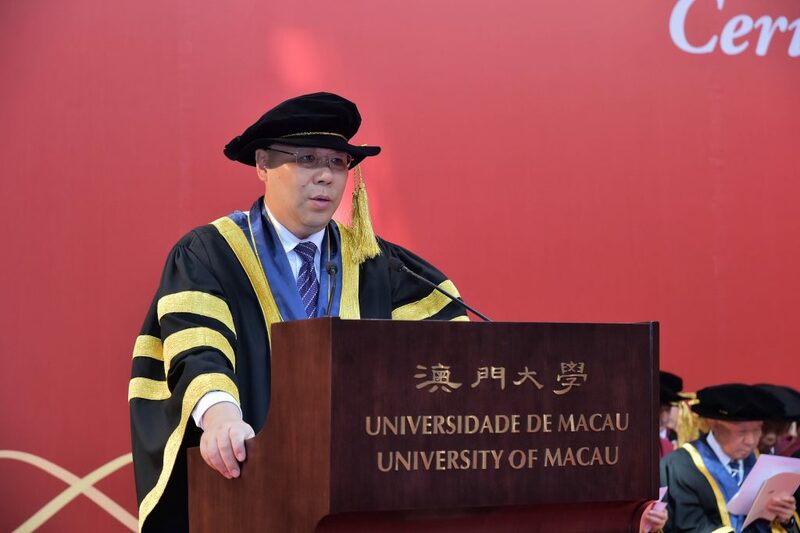 Chui believes that the new higher education law will provide new momentum and advantage for higher education development in Macao, and will present another important opportunity for UM and other higher education institutions in Macao. He hopes UM and other institutions will seize the opportunity and continue to improve their ‘hardware’ and ‘software’ aspects in order to train students to become the pillars of society. In his speech, Rector Wei Zhao said that this year’s graduates are very special, because they are the last cohort of UM graduates to have studied on both campuses. He added that UM advocates ‘know yourself’ to motivate the students to learn to find out what they want to do and what they can do so they can gradually build self-confidence and make a contribution to society. To achieve this goal, UM implements a ‘4-in-1’ education model, which has produced a positive effect on the students: their academic performance, soft skills, and employability have all significantly improved. And UM alumni are also doing very well in different fields. 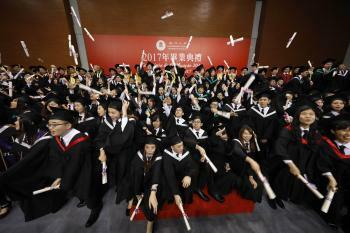 Rector Zhao said that the success of the students and alumni is the success of the university. He hopes that both the graduates and their alma mater will achieve greater success in the future. The representative of this year’s graduates recalled her four years of life at UM, saying that the biggest lessons she learned was the importance of humility. She said she would never forget her teachers because they showed her how ‘Teaching is a work of heart’, and as a teacher-to-be, she will keep the faith. This year, UM graduated more than 1,400 students with a bachelor’s degree. They are from the Faculty of Arts and Humanities, Faculty of Business Administration, Faculty of Education, Faculty of Health Sciences, Faculty of Law, Faculty of Science and Technology, and Faculty of Social Sciences. 44 of the graduates have also completed programmes offered by the Honours College.